Caerphilly County Borough Council is helping to protect the public purse by fitting CCTV Hard Disk Recording systems to its waste collection fleet. The 360° cameras are able to record all around the vehicle and the footage can be used to defend false claims against the authority . 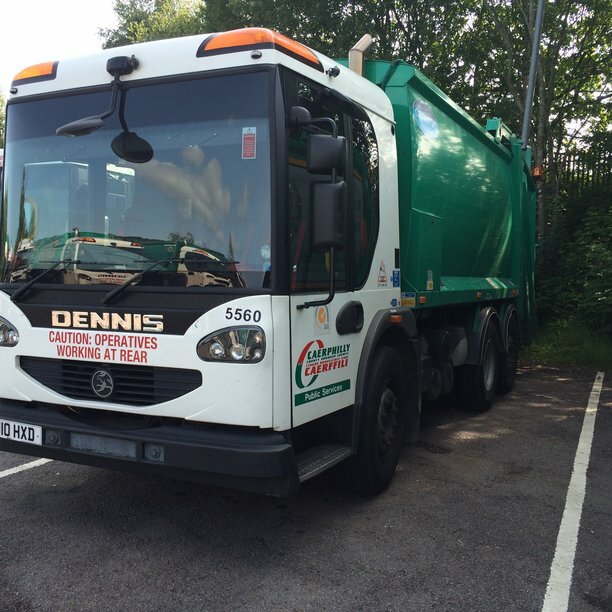 Approximately 28 RCV’s that comprise Caerphilly CBC’s waste and recycling fleet have been fitted with either the RX2 and more recently the RX3 Hard Disk Recording system, provided by vehicle safety technology experts, Innovative Safety Systems Ltd (ISS). In addition to the Hard Disk Recording helping to protect staff against false claims made against them the cameras have also proven that the authority is not responsible for reported damage to cars and property in every one of the last 22 cases. Innovative Safety Systems Ltd was established to provide a one-stop shop for vehicle safety equipment supply, maintenance and service. ISS operates in a wide range of sectors including waste management, passenger transport, haulage and emergency services. With over 30 years combined experience in the waste management, recycling and CCTV sectors, the team at ISS are experts in all areas of vehicle safety technology. ISS supplies the highest quality, most robust products available in the market place, and offers a nationwide repair and maintenance service including a two-hour call-out option.